Despite the repeated refusal of the 14.6 million-member Southern Baptist Convention to approve the elevation of female ministers to the pastorate, Rev. Nancy Hastings Sehested continued to seek just such a role. More than 450 Southern Baptist women are ordained for the ministry, but only 11 serve as pastors or co-pastors. Prescott became the largest Southern Baptist Church headed by a woman and the first in Tennessee. Supportive letters and telegrams poured in from all over the country. Nancy’s became one of THE stories in the United States in 1987. Major newspapers published stories about the dispute. More recently, she was featured in Bill Moyers’ documentary examining the denomination’s policies and politics. Through it all, Nancy Sehested stood firm in her calling, in her commitment, in her right to serve her God. As one nominator wrote, she is a heroic example for today’s youth — and their parents also. 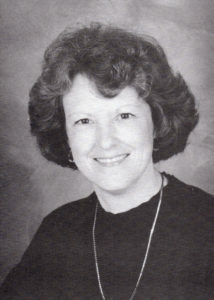 By early 1994, Nancy said, about 900 Southern Baptist women were ordained and 25 were serving as pastors or co-pastors. Most of them were serving tiny churches.